How much does it cost to hire a tipi? We offer many different combinations and party packages, so the cost depends on your requirements, number of guests, dance floor and choice of furnishings. As an approximate guide- each tipi can host 100 guests for a party and 70 guests for a sit-down dinner, but if you have more guests or want a dance floor we suggest adding a second tipi or cirrus. Use our quote estimator tool to get an idea of what it might cost or get in touch. How much space do I need for a tipi or stretch tent? The space required ultimately depends on how many guests are attending, the type of furniture you would like to use and whether you want a dance floor, stage or chill out area. Check out example floor plans to get an idea of popular configurations. Giant Hat Tipis are 10.3m in diameter, accommodating approximately 70 seated guests. They can be linked making much larger structures. Stretch tents are either 10m x 7.5 m or 10m x 15m, accommodating approximately 50-100 seated guests. Again they can be linked should you require more space. Are there any particular requirements of the location? Vehicular access is very helpful, but we can carry the equipment over short distances. Typically we use flat bed vans or 18 foot trailers with 4 x 4 vehicles. The site needs good drainage and will benefit from being sheltered from wind and rain. Facilities such as power and water are helpful but not essential. We come for a free (non obligatory) site visit to your desired location before we proceed with your booking, so we can be certain that our tipis will work for you, and there will be no hiccups to spoil your day. Can you recommend suitable sites? Absolutely. 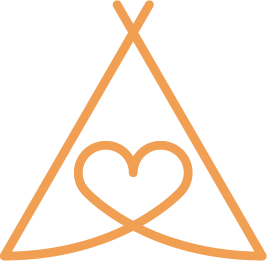 We’ve erected tipis in sites around London, Sussex, Surrey, Hampshire, Kent, Oxfordshire, Buckinghamshire, Berkshire, Hertfordshire, Wiltshire, Essex and Gloucestershire- all over the South basically. We’re happy to recommend suitable locations. Get in touch to talk to the team about your requirements. Do we need good weather? Tipis and stretch tents are surprisingly robust and designed to withstand adverse weather conditions (after all our tipis come from snowy Scandinavia). They are 100% waterproof and the canvases comply with all fire safety regulations. In wet weather conditions the sides of the tipis can be lowered for a warm and cosy environment. In the event of strong winds we would advise having a less-exposed alternate site or moving the opening away from the wind as a back-up plan. We are happy to talk you through all of this. Can tipis be erected and used at all times of year? Our tipis are based on the Lavvu, a tipi used by the Sami people of Scandinavia. It’s similar to the Native American tipi but is less vertical and more stable in high winds. These tipis are surprisingly hardy in bad weather. For winter events our customers often add Fire pits and heaters, which means that guests can stay cosy whatever the weather on the outside. Can tipis or stretch-tents be set-up on hard ground? Yes- tipis and stretch-tents can be set up on hard standing. But please be aware, this will incur additional equipment and haulage costs for drilling- please ask for more details. How long does it take to set up tents and tipis? It typically takes a full day to set-up a tipi structure, occasionally going into a second day depending on the size and complexity. Stretch tents can be set-up in a matter of hours, or up to a day for larger arrangements. We will check the weather before and during the event, and if necessary we may move set-up dates to ensure a safe set-up to the highest standards. If you have a Saturday event, Wednesday or Thursday are most commonly build days, with Monday and Tuesday being take down days. We can try to accommodate any special requests, depending on how busy the teams are, and we always try to leave a clear day before your event so you can add finishing touches. In which towns and counties do you operate? With Sussex and Oxfordshire offices we serve London, Surrey, Buckinghamshire, Berkshire, Kent, Hampshire, Gloucestershire, Wiltshire, Hertfordshire and Essex, although we’re always happy to discuss setting up in other locations. Can you provide power and other additional facilities? Should your site require generators we can provide top class, reliable and quiet power units with distribution, ensuring the smooth and safe running of your event. This is something we stress the importance of as a budget, misjudged or underpowered set up has the capacity to abort your event. Alternatively we can run power from a nearby building, please ask and we’ll talk you through the options. If you’d rather organise this yourself we are happy to provide recommendations and advice. We can also arrange toilets, showers, catering tents and more. Just get in touch. What’s the temperature like in a tipi? Tipis are very versatile. Opening up the sides will allow a cool breeze right through, while keeping the sides down and adding a firepit can warm it right up. We’re happy to discuss adding additional firepits or arranging large blow heaters to help keep your guests cosy and warm. Can I decorate the tipi myself? Typically we dress the tipis with our furniture (as chosen by you) as we have a full range of options to create a unique and special atmosphere; Our ground crew also install fairy lights, chandeliers and halos with their giant size ladders, and are happy to booked for extras including the erection of Chinese lanterns, bunting and pom poms. But if you’d like to take care of this, we’re more than happy for you to do so. Some clients like to create their own decorations, but this needs to be run by us first, as we cannot allow you to screw into the structural timber or allow fabrics that may bleed colour to come into contact with the canvases. How long can I hire a tipi for? The minimum hire period is 48 hours, although in practise it is often longer than this, so you have time to add your personal touches. Please let us know if you would like to hire a tipi or tent for longer than 48 hours. When you book your event we will agree setup dates, event dates and take down dates. Can I see your tipis or tents prior to booking? Of course! The best ways to see them up close is to come to one of our open days. The next one is Surrey Wed Fest on 10th June in Robert Denholm House, near Gatwick. At the open day you can see our tipis, furniture and fittings- all the inspiration for a dream wedding! This is a ticket only event so please get in touch if you’d like to attend. You can also meet us in person and ask any questions. Follow us on social media, read our blog or drop us a line to be kept up to date with more open days. How do I hire a tipi or stretch tent? Complete the enquiry form, email us or give us a call to get the ball rolling. We’ll produce a quotation based on your needs. This is itemised so you can see exactly what each element costs, and you can add extras or amend as wished. Once you are happy with the quote we will send you an invoice for a 25% deposit; We highly recommend booking in a site visit at this point so we can talk through your requirements and ensure the location is suitable for your event. Don’t worry if you don’t know every detail at this stage, we can add or change your order right up to build day. As soon as we receive the cleared deposit, your dates and tipis are secured. We work on a first-come first-served basis, so get this deposit paid as soon as possible to avoid disappointment. You will need to pay the full amount 28 days before the setup date. No. We insure the rental equipment and charge a 3% damage waiver so that you are completely covered against accidental damage to the tents and any associated equipment of ours, for the entire period of hire. You will be responsible for the first £500 of any lost equipment for this period. We provide you an Inventory upon completeing the set up which you, or your representative, will need to sign both before and after the event. Our Public Liability cover is up to £2,000,000. This can be raised upon request should you require additional cover. We strongly advise all of our clients to purchase the relevant Event insurance to cover you in the case of injury to your guests, cancellation, breakages, loss or damage to your suppliers equipment and other incidents. If you decide not to have our damage waiver, then we must receive adequate documentation that you have sufficient insurance cover for your event that includes any loss or damage to our equipment.